Thanks to everybody who has commented and made recommendations to date, and thank you for the great responses that I got from the last letter. It's really nice to hear the comments and reflections from friends and followers who remember stories of family traditions such as "snitzing parties". I think it's important that we remember and repeat those stories so that those old American traditions are not lost in the flow of time. The next letter will be published on Monday, November 28th. I will warn you that this particular letter is rather short and not very exciting, only being a paragraph long. However, if you are following the entire JWD story from the time he entered the Army until his death in 1876, you will see that this letter is the first indication of troubles that plagued him for the rest of his short life. Essentially, this period in his life was the beginning of the decline in his health. References to this part of JWD's service are seen in the pension applications affidavits that I have already posted and ones that I will post later in this blog. Fortunately, or unfortunately...you can reference such seeminly innocuous letters and see the sad decline...and where it began. I will never really know what ultimately killed JWD, but these letters provide some measure of the symptoms he suffered and possible linkages to common ailments of soldiers during this period in time. 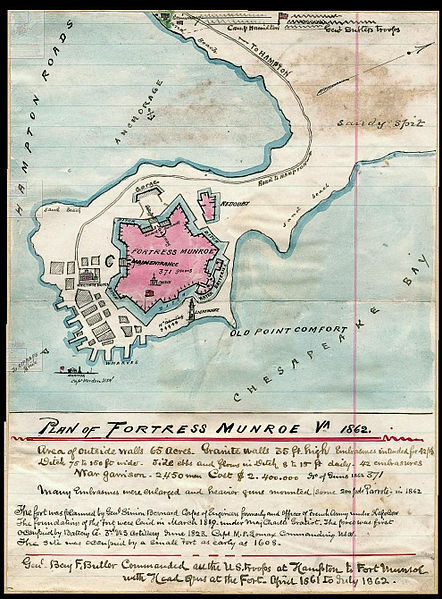 Camp Hamilton (origination of the Letter #2) was organized on the site of what is now Phoebus, Virginia and provided an overflow camp to Fort Monroe. Visitors to Phoebus, can see where the camp was located as well as the cemetery containing those soldiers who were the unfortunate victims of the typical camp diseases of the era. 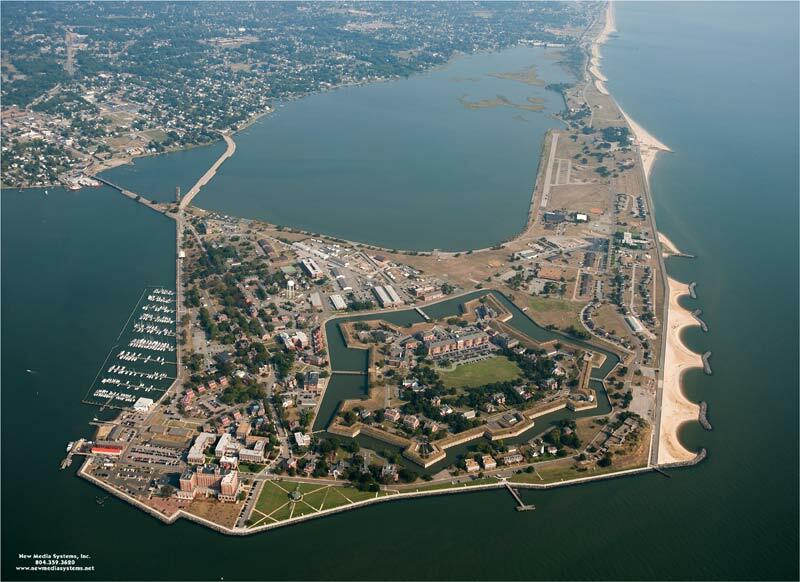 The camp was located just prior to the bridge connecting Fort Monroe to the mainland. Ok...the next image has nothing to do with the subject matter this week, but I needed to get it into the blog record for completeness. My good friend and brother RDML Sinclair Harris helped me with some research on my favorite ship....the George Peabody. As you remember from prior postings, I had a somewhat obsession with researching this particular ship that carried JWD to the Outer Banks of North Carolina during the conduct of the Burnside's Expedition. After exhausting all of the avenues that I knew of in finding informational "tidbits" and images....I decided to go to an expert. Who better than a friend who happens to be an Admiral in the United States Navy? The results included information that I had previously posted, and the following image that I have not yet posted. I find this picture of the George Peabody to be most special, as it is a hand drawn image that is housed in the Library of Congress in Washington, DC. 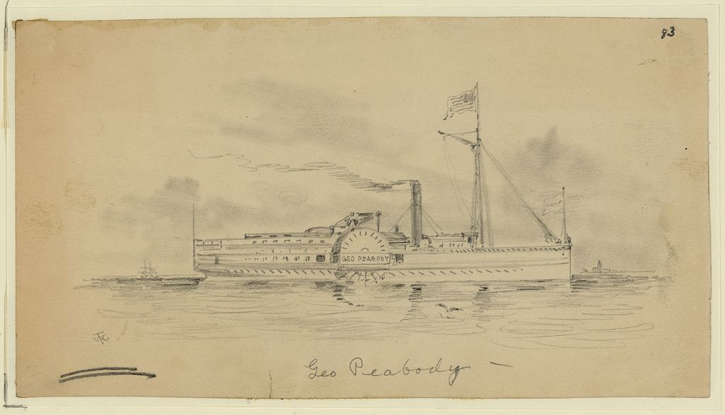 RDML Harris correctly pointed out to me that the George Peabody was not a United States Ship, but a private vessel...hence my change from USS. Many thanks to RDML Harris....ok...Sinc to me....for a great addition to my blog.